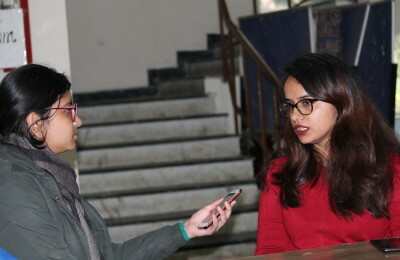 The second part of the Delhi University year is looked forward to, not just because of the relieving winter but the season of college fests that light up each campus in the city between January and March. The societies gear up for all competitions in these months. Dancers can be seen practicing their complex turns and twists in their sleep, while the singers hidden in every college are heard humming random mash-ups. It’s a hectic season for every busy bee involved in any union, organizational body or society. It is an exciting time for everybody. Most students are eagerly awaiting the lineup of star performances that highlight most college fests. Last year saw celebrities like Kailash Kher, RDB, Honey Singh and Them Clones taking the stage at various colleges. The competitions that most audiences tend to look forward to yielded expected responses of choreography, battle of the bands and dramatics. It was a nice surprise to see niche concepts and ideas like focused discussions and literary events also pop up among the responses. Some of the interviewees were more straightforward. “We’re looking forward to the food,” said Tarun from KMC, referring to the immense number of stalls and shops that populate all college grounds from the most surprising of places to the most well known. The first fest on the DU calendar this year is GargiCollege’s Reverie from the 29th to 31st January which is promising to be even larger this year. Our editors and photographers will cover the succeeding season in exceeding detail. Keep watching this space for the same!